In Cambodia's Prey Lang forest deforestation is devastating the lives of the indigenous population. Environmental activist Chut Wutty is determined to fight the illegal practices of logging companies but when investigating a secret military-controlled logging site, Wutty is shot dead. 'I am Chut Wutty' follows Wutty's fierce battle against illegal logging in an extraordinary tale of one man's courageous battle to save Cambodia's forests. "He was not afraid of dying, he knew what he was doing. He told me that he would either die or be sent to jail in the end." Chey Oudorm, Chut Wutty's son, explains that Wutty was fully aware of the dangers of confronting Cambodia's illegal loggers. Utterly dedicated to the cause of protecting his community's culture, he turned down offers of protection to continue his fight against the companies tearing down his homeland. Chut Wutty leads a group of activists called the Prey Lang Network. Descending upon a logging site armed only with cameras, they film the devastation the loggers have wrought, pointing out discarded equipment and huge piles of timber. The community relies upon this forest for their livelihood. "If we lose the trees because a company comes here or if someone cuts the trees for timber then we lose everything" states Mao Chanthoern, an activist in Wutty's Network. But logging companies are systematically wreaking a path of destruction through the Prey Lang. 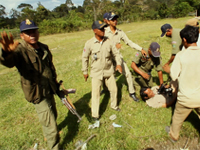 Confronting the loggers, Wutty is grabbed and thrown to the ground at gunpoint. Although shaken by the encounter he refuses to give up. Already more than 400,000 resin trees have been felled and no one has received compensation. Journalist Olesia Plokhii describes how Wutty soon turned his attention to the Cardamom Mountains, where he believed yellow vine was being used to make drugs. She details his tense final moments as he is shot dead attempting to leave the yellow vine site. In the aftermath of his death the network struggles to continue their fight without him. Following Wutty through the campaigns which ultimately led to his death, I am Chut Wutty is an inspiring insight into his battle against the destruction of Cambodia's forests. Fran Lambrick first went to Cambodia in 2004, and has been back six times since. From 20092014 she was at Oxford researching community forestry in Cambodia. During the many months of fieldwork in Prey Lang, she got to know the stories of forest activists, villagers who lost their land, and rubber plantation workers. 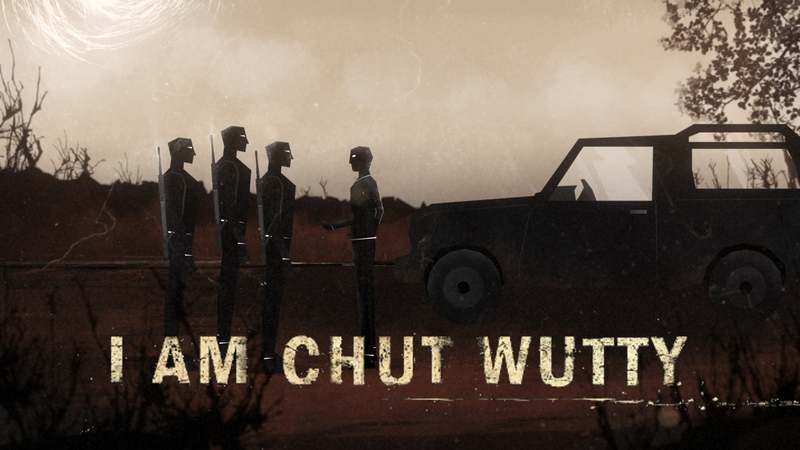 I Am Chut Wutty is, for her, the culmination of a long engagement with issues in Cambodia. 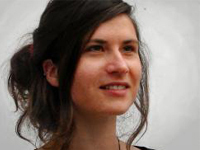 From 20102011, Producer/Director Fran Lambrick lived in Prey Lang forest, researching the causes of deforestation and the effects of community forest management. During that period rubber companies were established that cleared native forest, built custom, company owned housing, and displaced local people. Immersed in the communities, it was startling to see the transformation from a traditional, independent way of life, to wage labour in the rubber plantations, working day and night under gruelling conditions. The tangled web of corruption that enables the illegal logging and land grabs, spans the military, local operators and well-connected businessmen, and reaches right to the highest levels of government. On the spur of winning a bet to uncover the most corrupt local official, Fran decided to make a film about Prey Lang, and the struggle to protect the forest.